In November 2012 the rural health centres in Kalomo District in Zambia had not received ORS for several months due to a lack of stock at national level. In January, I visited one of these health centres and asked the Clinical Officer in charge if she’d received any ORS yet. She said they had received 200 sachets on 23 December. But, she said, they weren’t using it, they were giving out Kit Yamoyos instead. What? In the ColaLife trial Kit Yamoyos should only be available to buy (or exchange for a promotional voucher) at retail outlets. “How is it that you have Kit Yamoyos to give to mothers?” I asked. She explained that she had taken all the vouchers we’d left at the health centre, to be given to mothers as part of our promotion of the kit, straight to the local retailer and exchanged them for Kit Yamoyos. These Kit Yamoyos had then been put in the health centre store and were being given straight to mothers just like any other medicine supplied by the government. When we pointed this out the Clinical Officer did offer to reverse the transaction but we just asked her not to do it again and explained why. However, what is interesting about this case study is that it played out, in real life, the concept of rural retailers acting as couriers and supplying remote rural health posts with essential medicines. 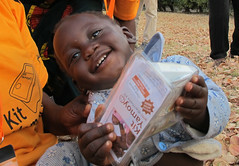 This concept was written at the request of Zambia’s Minister of Health, Dr Joseph Kasonde, and is published here. We don’t think that rural retailers would have the capacity to supply rural health centres but we think they may be able to supply the smaller, even more remote Health Posts. 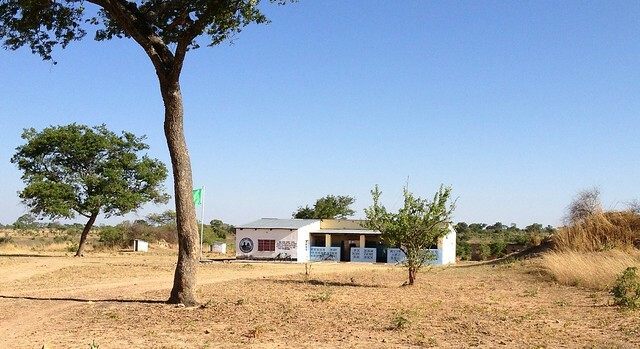 Kalonda Rural Health Centre, one of the health centres in Kalomo District, Southern Province, Zambia. This is not the subject of this blog post, it was another one! I wondered if you could supply a list of where I could purchase Kit Yamoyo’s either in Lusaka or Mongu to take to Kalabo? 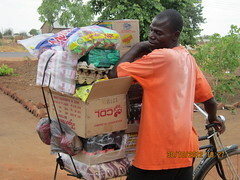 My associate Fredrick lives in Mongu but frequently drives the chief to Lusaka for business. Would it be possible at this stage to provide a list of retailers where we or other NGO’s or private Game reserves such as Chaminuka could purchase kits to take to our respective areas of work and projects? Chaminuka has it’s own village, cheese factory and lodge and they are very committed to the health of their community. Tikondane is another of many communities that may want to purchase kits. Thanks again and keep on truck’n or bike’n as the saying goes! Thanks again for the useful thoughts. Can we keep your suggestion on ‘the back burner’ until the end of the year? At the moment, as we are conducting a controlled trial, the Kits are only available to retailers registered with the project in 2 districts (Katete and Kalomo) and from 2 wholesalers (the Coca-Cola wholesalers in each place – who have been trained to sell only to those retailers). This is because we are in measuring, monitoring and evaluation mode, and this lasts until September. We will then continue distribution in those 2 districts while we assess impact and lessons learnt, and move into a scale up plan – which may include a whole range of models. Mongu is likely to be an area of interest for us in future. Saw your last blog about messy real life confusing the picture again with Kit Yamoyos given out for free – though also giving you valuable information! ColaLife is in the air. I just saw Trevor Manuel, our former finance minister, was complaining that his local SPAR never runs out of stuff but his mother goes to the local clinic to find it has run out of her diabetes pills! The efficiency of the private sector in RSA compared to the inefficiency of the public sector.